Making international calls no longer needs to be such an expensive activity. Whether you have family living abroad with who you want to keep in touch or you’re traveling a lot, you can keep your sanity (and wallet) at ease by using apps for making international calling. The good news is that you can make international calls for free (or at very affordable rates), as there are many viable options which don’t require you to pay an arm and a leg to wireless carriers. It’s another case for free apps to the rescue. In what follows, we’ll talk about one such app. 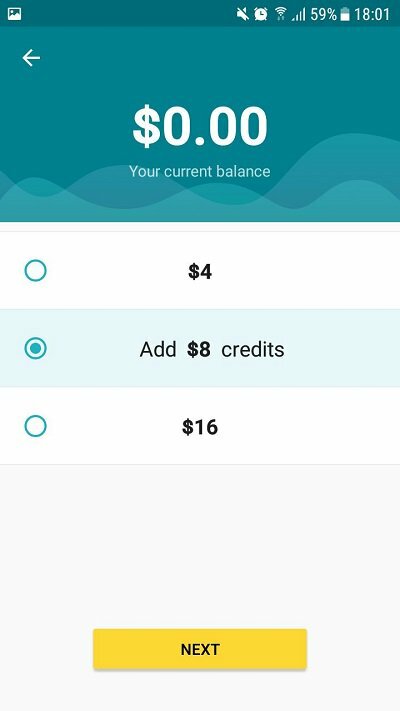 It’s called Yolla International Calling App and it’s free to download from the Google Play Store, although while using it you might have to do some additional spending. Just download Yolla from the Play Store and install it on your device. Then give the app permission to access your phone app, contacts and verify your phone number (Yolla will call you, but you don’t need to answer). After this is done, you’ll be able to get started. Once you dive into the app, probably the key highlight is its easy-to-use, modern-looking interface. You’ll find it’s clear as it can be and is not plagued by ads or overstuffed with more or less useful features. Even non-techies will get the hang of how of it in no time. Basically, when you open the app you’ll see a list of all your contacts. 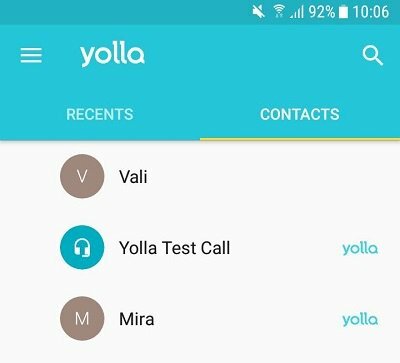 Contacts who have the Yolla app installed on their device will have the Yolla logo listed next to their names and you can call them for free. Yolla also allows you to call people who don’t have the Yolla app installed on their device. You can actually make calls to any mobile or landline phone worldwide, but obviously, you’ll be asked to pay a fee for this service. However, you need to make sure you’re on a stable Wi-Fi/4G/3G connection or you risk your call falling through. Almost 70% of the calls I placed (free or otherwise) or received failed after 2-3 minutes due to apparent Wi-Fi instability issues. On the bright side of things, one of the best parts of the app is that it lets you keep your original phone number, so you’ll friends and family will always see your personal phone number when you call. And they won’t even know you’re calling using an app (unless they have and use Yolla too). Furthermore, I was pleasantly impressed with the sound quality in calls. I could hear the other party very crisply at the other end, regardless of whether I was making a local or international call. What’s more, the app doesn’t appear to be a battery hog either. But unlike alternative apps like Viber, Yolla does not allow you to text and send photos. It’s only for making calls and nothing else. By the way, if you’re looking to place a phone call to a certain country, but you don’t know the country code, Yolla includes a database of all country codes. Which is quite handy. Yolla offers a clean and easy-to-use app and excellent in-call quality. However, you need to make sure you’re on a stable Wi-Fi connection (or 4G/3G) to ensure your calls won’t fail. But if this happens, another concern is that your credit will get depleted without you actually getting to talk to the person you want to reach. Luckily, Yolla thought of this. If you are having network issues, you can request customer service right from the app. A Yolla customer service agent will check the network and make it up to users in no time. Even if the issue is on the customer’s end.